1. 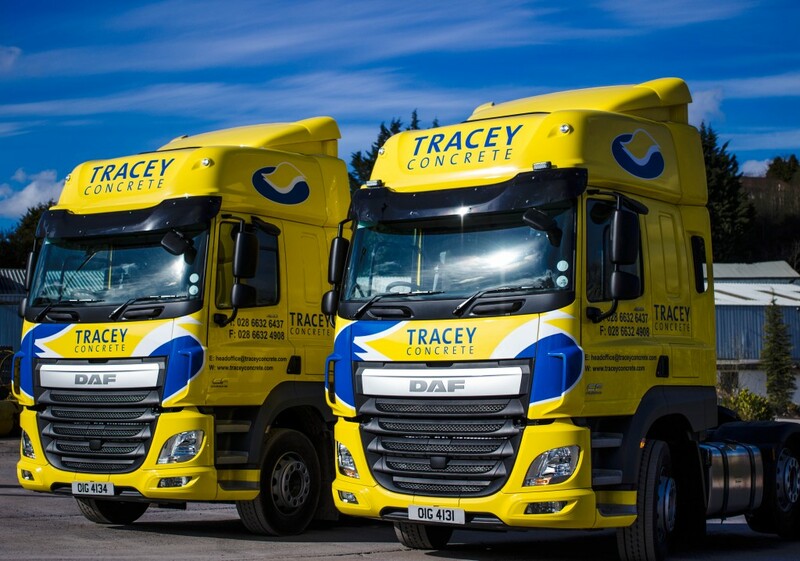 What are the opening hours of Tracey Concrete Offices? The offices are open from 8:00 am to 5:00pm Monday to Friday, & from 9:00am to 12:00pm on Saturdays. The yard gates may be open before and after these times for loading Tracey Concretes own lorries, but collections should be done within office hours. There is no minimum order quantity for collections. However, as prices for delivered products are based on full lorry loads, small quantities will only be delivered with other similar scheduled deliveries and this may delay the delivery date. Customers are therefore encouraged to collect small quantities from our yard, or will be directed to their nearest stockist. 4. Do Tracey Concrete supply the general public? Yes. We supply ex yard and deliver to the general public, builders, merchants and major building and Civil Engineering contractors. 5. Do Tracey Concrete hold a stock of general precast? Yes, we maintain an extensive stock of all general precast at our site in Enniskillen. 6. Are there standard sizes of general precast? Yes, a full listing of Tracey Concrete general precast can be found on this website, and in the company brochure. Certain products can be made to specification. 7. How do I know how much ready-mix concrete I require? 8. Can I collect my readymix concrete? Yes, we offer a collection service, please telephone in advance to arrange a convenient time. 9. Do you deliver and fit cattle slats? Tracey Concrete offers a delivery and fitting service for slats, please phone Headoffice for more details.